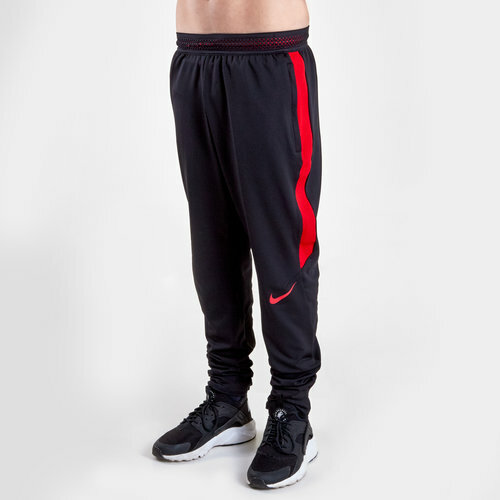 Help your kids keep their cool on the practice pitch and work towards match fitness with the Nike Dry Fit Strike Kids Football Training Pants in Black and University Red. These kids football track pants feature an elasticated waistline with adjustable interior drawstrings for a secure and comfortable fit and has zipped pockets at the sides for safely holding onto your essentials as you train. 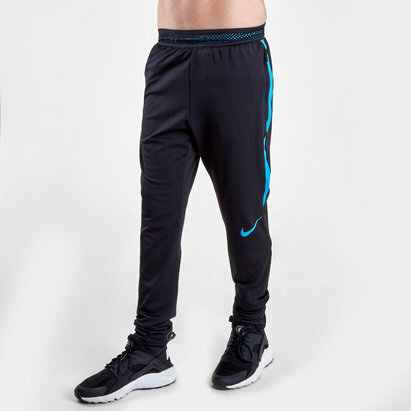 Made from polyester material, these Nike tracksuit bottoms feature Dri-Fit technology to help keep the wearer feeling cooler, drier and more refreshed when in action by wicking sweat away from the skin and quickly drying off. Zipped hems also allow for a custom fit and ease of access. Ready for action on the pitch, but also ideal for casual wear on rest days, make sure not to miss out on the Nike Dry Fit Strike Kids Football Training Pants.